​Manchester United manager Ole Gunnar Solskjaer has said that the Red Devils were lucky to win after beating West Ham 2-1 on Saturday afternoon. United won thanks to two penalties from Paul Pogba either side of a Felipe Anderson equaliser for the visitors. The win saw them rmove up to fifth in the table, now just one point off the Champions League spots. Speaking after the game, Solskjaer gave his thoughts on his side’s win. As quoted on the club’s official website, he said: “We got away with it, you can put it that way. I know it’s not easy because we played a game on Wednesday and there were a few changes that we had to make." ​Manchester United secured their first win in three games, following defeats to ​Wolves and Barcelona in the ​Premier League and ​Champions League respectively. It saw them build on their strong home league form, having now gone 14 league games unbeaten at Old Trafford. United have won back to back home games against ​West Ham and ​Watford, though both games were far from trademark performances. Despite winning both games 2-1, they were rather lacklustre performances from the Red Devils. 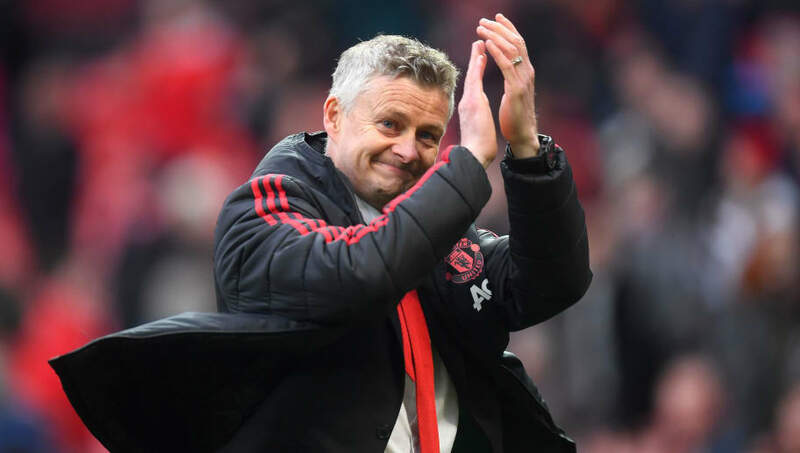 Speaking about those games, Solskjaer said: “In the last two games here at home, against Watford and now West Ham, we’ve probably got more than we deserved. But it’ll even itself out over the season." ​Paul Pogba was the matchwinner on Saturday afternoon, with his penalties in each half securing the win for United. It was a big performance from the Frenchman, as he played a pivotal role in the Red Devils’ victory. Manchester United face a huge game in the Champions League, as they travel to Barcelona next Wednesday. They return to league action next Sunday, travelling to Goodison Park to face Everton.